The Loopy Mango Nantucket throw is finished and I am in love!! This was such a fun project to work on. So quick, too! The pattern says it is best to work the stitches loosely which was difficult for me since I have a normally knit pretty tight. I did my best to keep the knits and purls extra loosey-goosey on the giant knitting needles. 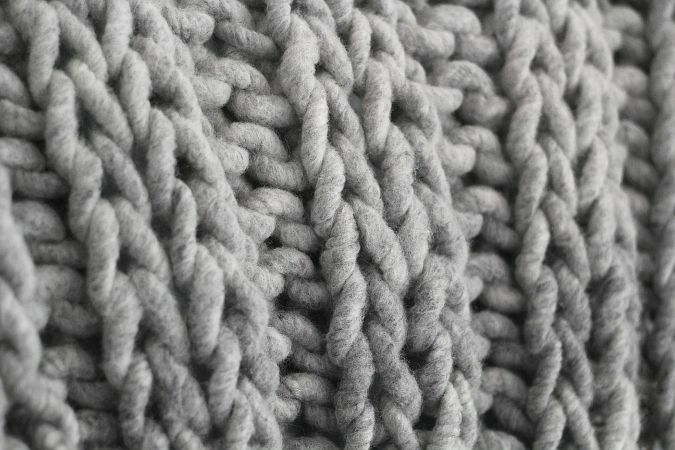 Thankfully the stitch definition turned out great! 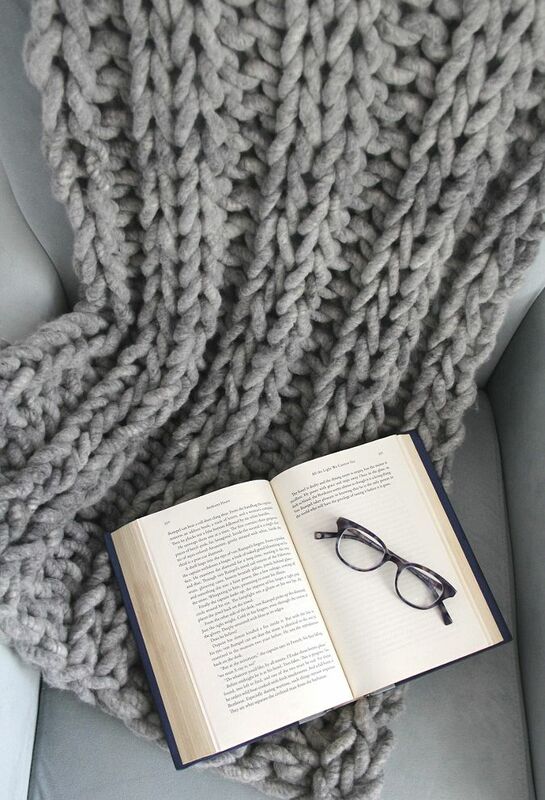 The blanket is the perfect size to cover my lap and legs when I curl up with a good book. Speaking of good books, I am currently reading All the Lights We Cannot See and I LOVE it. I only have a little bit to go but I will be so sad when it ends. 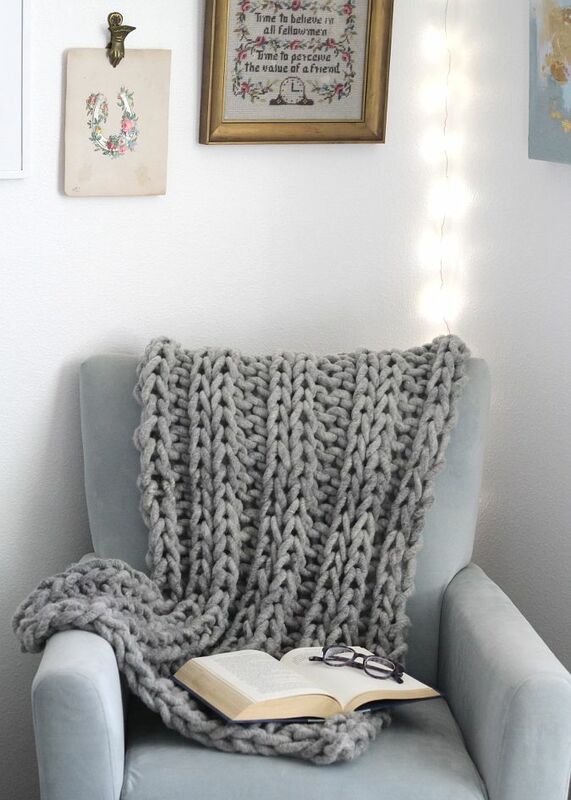 My little reading corner is now complete thanks to this gorgeous knit kit from Yarnthology! 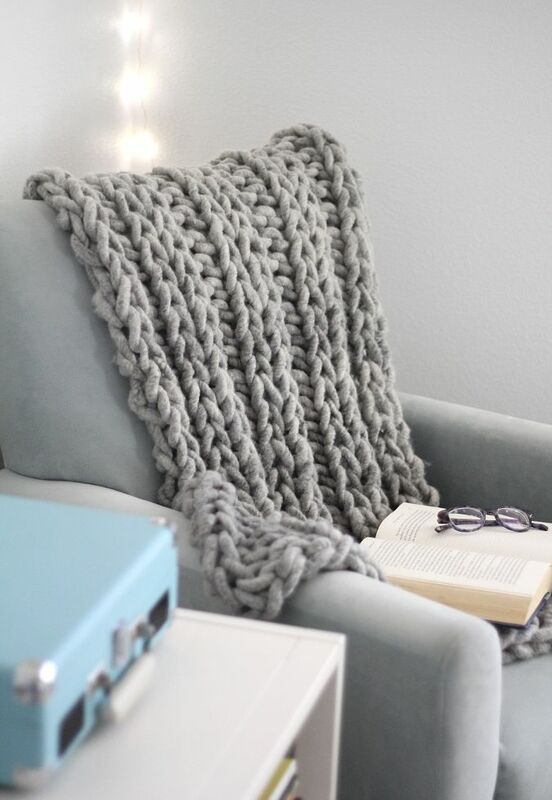 If you want to make your own, don't forget to use the code ONESHEEP for 20% off any Loopy Mango product and 15% off anything else on their site. 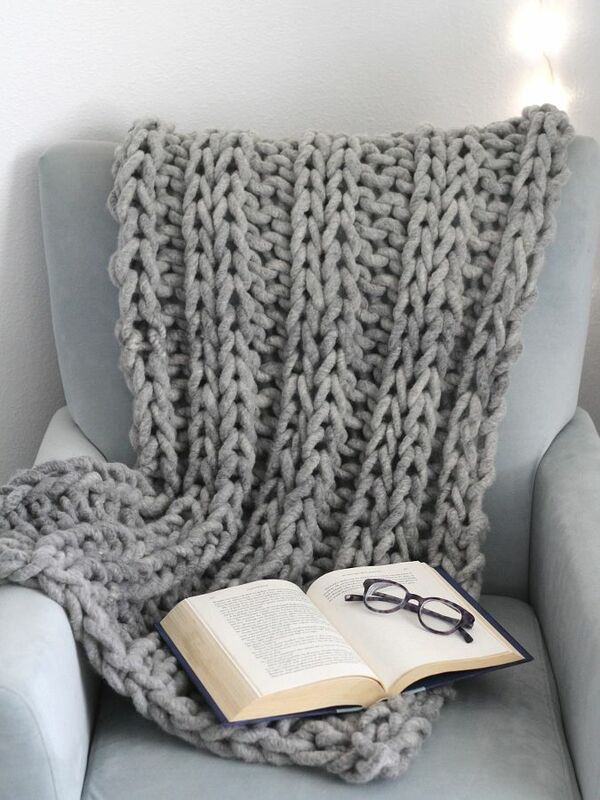 I am so ready to snuggle under this blanket and read on the cold winter nights ahead. What are you reading these days? I am always looking for recommendations! The Blush List is Back!